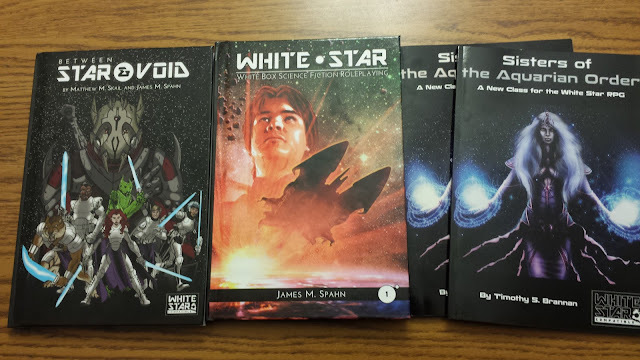 It is no secret that I am very fond of +James Spahn's White Star RPG. So with my proof copies in I just had to take a "family" picture. Of course I am also a fan of +Matthew Skail's Between Star and Void. I love how these copies turned out and I'll be making it live soon. I love all the great DIY products coming out for this. I don't know or have them all, but there is the White Star Catalog that has most of them released as of November. I have not tried to be 100% compatible with anything other than White Star, but I have also kept it open enough that you can drop the Aquarian Sisters into most games. The galaxy should be big, and weird. For example I have no idea if my Aquarian Sisters work well with the Star Sailors of Star Sailors: The Magical Girl Supplement for White Star RPG. 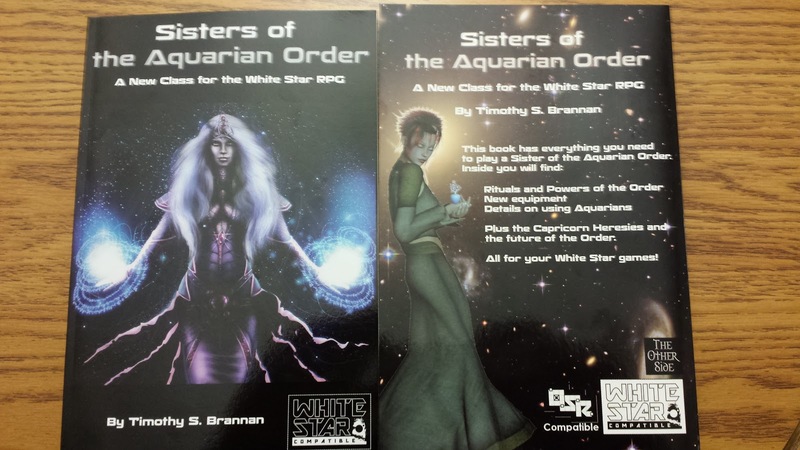 On that note though, Sisters of the Aquarian Order is 100% Open OGC. So if you want to use the Aquarian or Capricorn Sisters in your product? By all means go right ahead. You don't even need to ask me. But if you do let me know! I'd like to see what they do in the hands of other gamers. So what are your favorite White Star products? Sell me on your favorite! Nice! Got to order my copy now. I've been running White star since the start of this year and my game's a lot of fun....a mish-mash of everything possible, pretty much. I've been getting a lot of mileage out of Between Star & Void, Graveyard at Lus, Five Year Mission and all of the DIY supplements. 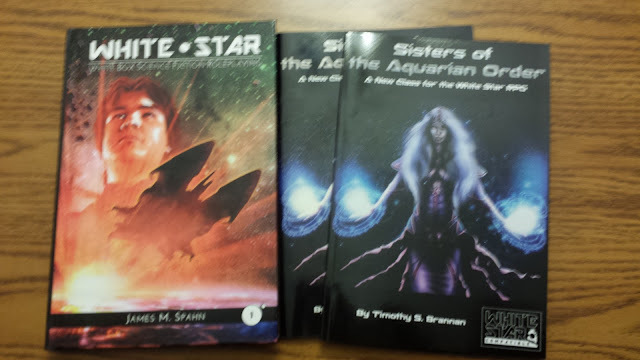 Also like Magic Pig Media's books, and Stark Space. Okay I have to follow-up on where I find your book...my searching on rpgnow and lulu is not bringing it up. But when it goes live I will let everyone know.